Hey there! 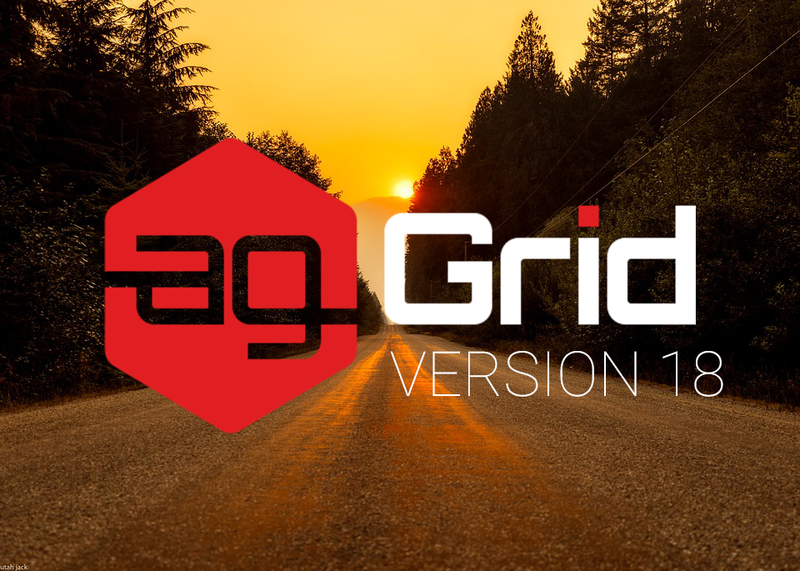 Just a few days ago we released a completely new version 18 of ag-Grid. This is a major update, so besides fixing a bunch of bugs and improving performance through underlying architectural changes, we’ve added a number of very interesting features. Most of the work was focused around the pivot table mode and filtering. Let me walk you through the new features. For a complete list of changes see our changelog. Previously, you could only define one condition for a column filter. Now, Text, Number and Date column filters support two conditions which can be grouped using AND/OR grouping operator. In the example below, we’re filtering out records to only show “Celica” and “Mondeo” models. And we use OR filtering operator to show records that match both conditions. We continue advancing our ag-Grid’s pivot table functionality to make the analytics process even more efficient. This time we’ve added support for grand totals across column and row groups. The pivot table shows us that the United States won 130 gold medals in 2000. What if you now want to know how many medals of all kinds a country won in each year? This kind of total values is another new feature that we’ve introduced. Once enabled, you will have a new column added showing you totals across all medals within a year. And it also includes a handy sliding mechanism that allows expand or collapse all values within a pivoted group. In our example with medals, you can show or hide details for each kind of medals within a year. You can read more it in the documentation. By default, each cell takes up the height of one row. You can now change this behavior to allow cells to span multiple rows. This feature is similar to ‘cell merging’ in ‘Excel or ‘row spanning’ in HTML tables. On the screenshot below the cells that span multiple rows are highlighted in cyan. You can see the first cell spans 2 rows, second and third span 4 rows. When the data shown in a grid needs to printed, it’s often desirable to not constrain grid dimensions on the web page so that when printed it shows full set of data. A grid with unrestricted height and weight also doesn’t have scrollbars as they make no sense on a printed paper. Previously you only could pass width and height dimensions as configuration options only before the grid was initialized. You can now do it dynamically after the grid has been initialized. Check out the documentation to learn how to do it. In this release we’ve also boosted the grid’s performance even further by redesigning part of ag-Grid’s internal layout mechanism with CSS Flexible Box Layout (Flexbox). As you know, Flexbox has been around for quite a while but we couldn’t take advantage of it because IE9 didn’t support it. Now that we have dropped the support for this version of Internet Explorer as no one uses it, we can delegate most of the heavy lifting of layouting to native browsers implementation. The new layout structure doesn’t need a polling setTimeout function running every 500 ms and a bunch of redundant wrapper DIV elements. That’s where the performance improvements come from. As always at ag-Grid, we love to support the community and great content. For that reason, we are now an official sponsor of Angular-In-Depth. Read the story behind the sponsorship. As always, you can send us your feedback to info@ag-grid.com and if you like what you see, please share.